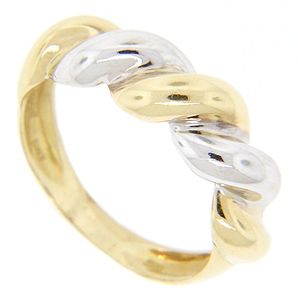 Made of 18K gold, this two-tone vintage wedding band features a twisting, curving design. 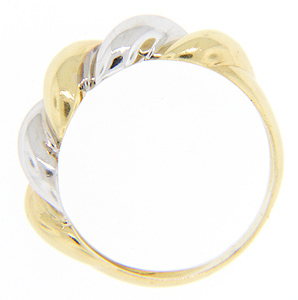 The wedding ring measures 6mm in width. Size: 7. We can resize.